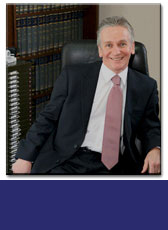 Tony Wood is our senior family solicitor having specialised in family law for many years much of that time representing parents and children in child care cases, dealing with divorce, residence and contact disputes and financial settlements. He has been a member of the Children's Panel for over twenty five years as well as being an accredited family law mediator for over fifteen years. You will immediately get a personal service from him and specialist advice which is much needed at a time when you are vulnerable and under stress and pressure. We believe as a firm that the burden you carry at this most difficult of times will be both shared and eased by our help and advice. Tony is assisted by his personal assistant and secretary Sue Thompson who also has considerable experience of family law matters over many years and will be on hand to assist at any time. 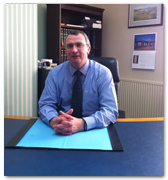 Michael Smith is our Solicitor dealing with all aspects of residential and commercial conveyancing. At Hardman Wood we are committed to providing a professional service with a personal touch. Our conveyancing department is typical of our approach with Michael, along with his secretary Debbie Lloyd, always on hand to offer professional advice, support and assistance, to ensure that each transaction runs as smoothly and as stress free as possible. Michael also has considerable experience in the preparation of Wills and dealing with Probate matters including acting on behalf of Executors of Estates as well as preparing a power of attorney.